Huge, creamy white cup with a broad sunny yellow rim is surrounded by glistening white petals. 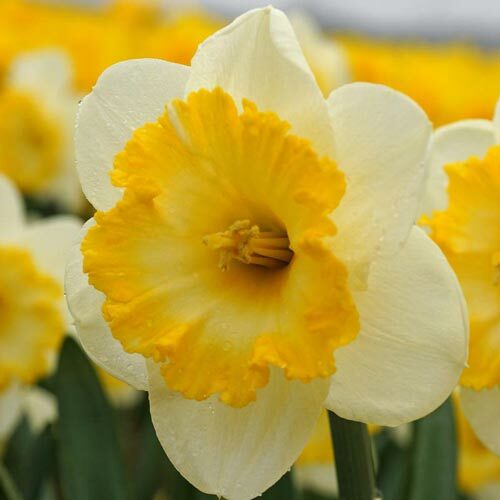 These Daffodils have been chosen for their outstanding growth habit and blooming quality. The colors are bright and rich. 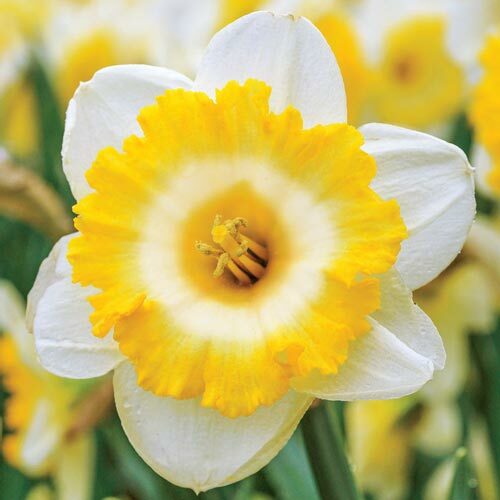 Ideal for a showy floral display that will add springtime beauty to any garden. These large-cupped varieties are selected and recommended for naturalizing. Let foliage mature and die down naturally. The leaves are providing nourishment for bulbs to produce future growth and blooms.